The use of alternative energy for cars is becoming more popular in the modern age. While most people have heard of electric vehicles, many don’t think about the energy sources available which can power them. Out of all the electric car options that are available, hydrogen fuel cell cars have been proven to be the cleanest ones on the market. They do not use electric battery power like other electric vehicles do. Plus, the emissions that come out of the tailpipe are only water vapor and heat. This makes them the most environmentally friendly out of all the other options. Hydrogen fuel cell cars generate electricity through the conversion of hydrogen gas. Once this happens, heat and water are the only two things that emit from it. You won’t see any toxic carbon emissions coming out like with traditional vehicles. There are high-pressure fuel tanks in the vehicle which store the hydrogen gas. Instead of burning the gas like you do with normal fuel, the hydrogen gas flows into fuel cells which have oxygen in them. The hydrogen gas mixes with the oxygen and forms the electric current necessary to power the electric motors. This, in turn, gives power to the wheels and allows the vehicle to move. If you are thinking about getting a hydrogen fuel cell car for yourself, you need to understand the fundamental aspects of the vehicle. While there are a lot of great benefits to hydrogen vehicles, there could also be some major setbacks for you as well. Aside from hydrogen producing cleaner emissions, below are the top 3 differences between hydrogen and regular vehicles. This will help you better understand the working principle of hydrogen fuel cell cars and how they could affect your lifestyle. Small Battery – All vehicles have batteries in them, but they serve different purposes depending on the vehicle type. A hydrogen fuel cell car has a small battery pack which is responsible for increasing acceleration only. It is not the main energy source for propulsion like in hybrid vehicles. Also, the hydrogen fuel cell car batteries are able to recharge themselves through the energy of the hydrogen fuel cells. This allows the batteries to last for a very long time. Less Noise – Hydrogen Fuel Cell Cars are far less noisy because there is no roaring petroleum engine that is emitting exhaust fumes. Also, the horsepower is rather fast because it is quick for the electric motors to get a complete torque. This means you could slightly step on the gas pedal and have the car accelerate fast. Again, there won’t be any engine sounds when the car speeds up either. The only sounds that you’ll possibly hear are from the outside winds blowing into it. 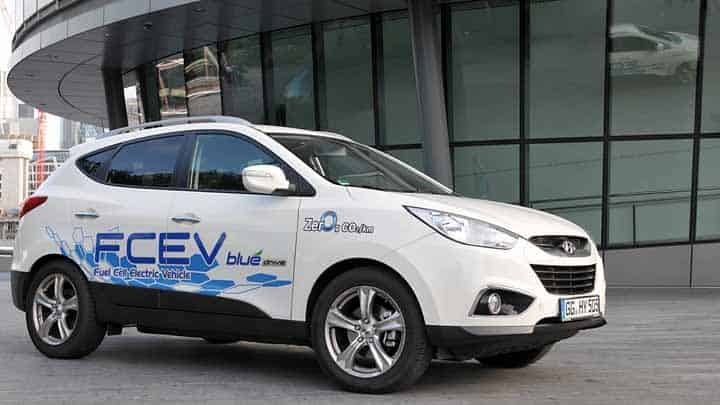 Limited Fuel Stations – The one big downside to hydrogen fuel cell cars is that you can’t just go to a traditional gas station to refill your tank. You will be required to go to a hydrogen fuel station to refuel the cells. Unfortunately, there are not nearly as many hydrogen fuel stations as there are regular gas stations. In fact, there are only 39 hydrogen fuel stations in the entire United States and the majority of them are in California. But, as the technology expands to other states, there will likely be more hydrogen stations opening up very soon. Read also: Easy Steps: How to Find Good Used Cars? You might wonder why more hydrogen vehicles are not being produced if they’re so great for the environment. The big argument from the other side is that hydrogen still causes emissions when it is produced. This is technically true because hydrogen currently comes from natural gas. But we have the technology to produce hydrogen from cleaner renewables. California has currently begun this process at 6 of their hydrogen fueling stations. The state requires that any hydrogen station which gets state funding must use renewable sources for a minimum of 33% of its hydrogen production. Hopefully, this percentage will increase in the future and spread to other states.